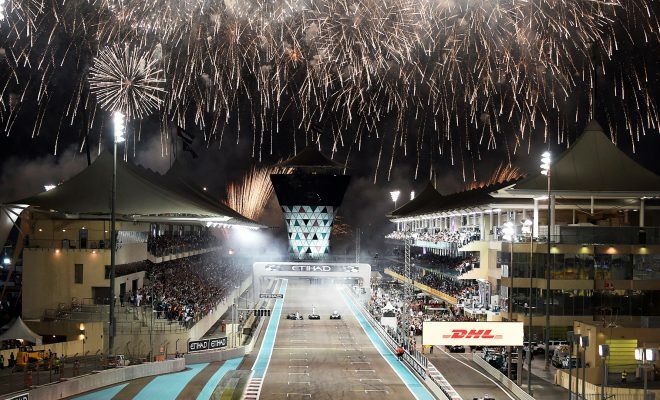 Home›Events›Abu Dhabi›Abu Dhabi Grand Prix 2018 – Update your calendar for the F1 Weekend! 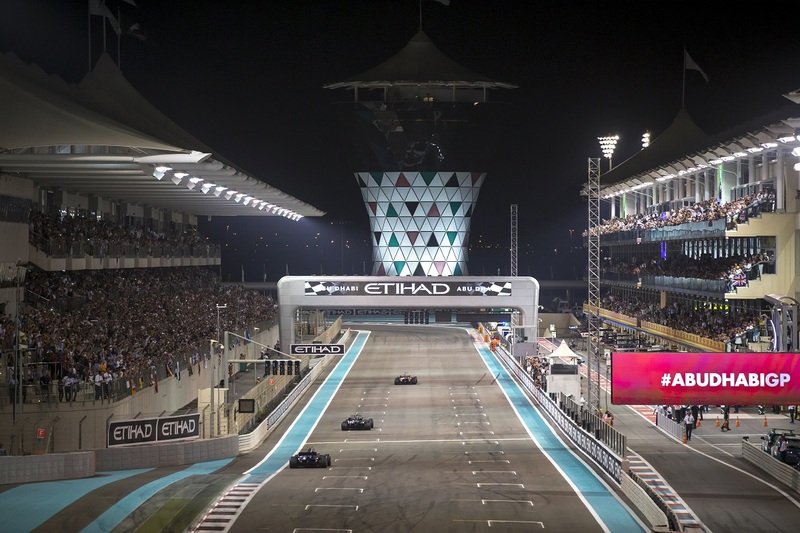 Abu Dhabi Grand Prix 2018 – Update your calendar for the F1 Weekend! 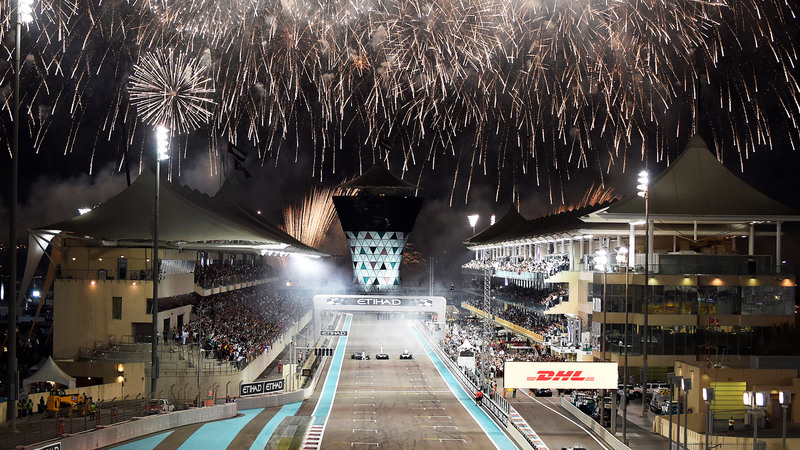 Thursday marks the beginning of the 10th Abu Dhabi Grand Prix and it’s going to be a good one. So the overall champion has already been decided, so what? There’s still the usual tonne of entertainment, good food and good times to be had. In order to make your weekend that bit easier, we’re highlighting the must-see/must-do. Enjoy yourself! An unmissable line-up will bring down the house at the du Arena during the four nights of Yasalam After-Race Concerts. 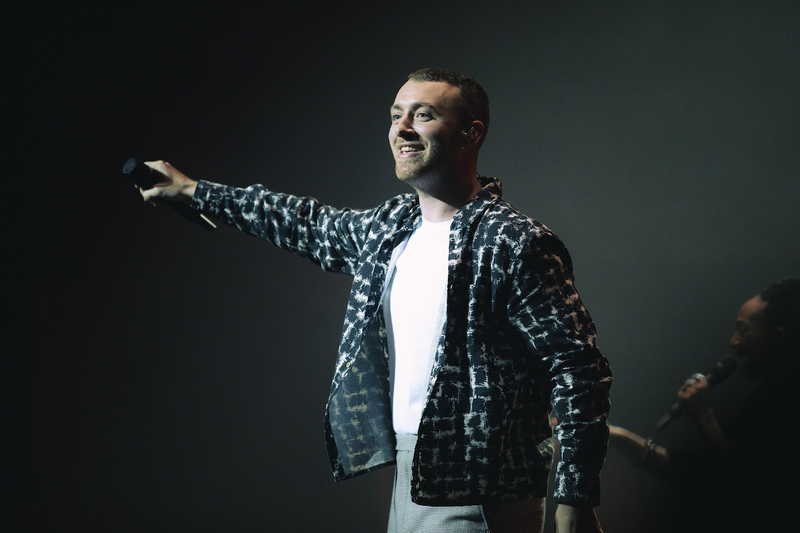 Billboard award-winning hip-hop star Post Malone, followed by Canadian superstar The Weeknd who will take to the du Arena stage on day two are followed by UK crooner and Stay With Me hitmaker Sam Smith who promises to make Saturday a night to remember. The curtains will close with American rock legends Guns ‘N Roses giving you four days to remember for the following decade. The big one, Yasalam, has brought more than 2.5 million fans from the UAE, region and the world together to celebrate the race weekend over the past decade. After-Race Concerts are only available for #AbuDhabiGP race ticket holders; those wishing to get up close to the action can still purchase Golden Circle Upgrades at yasalam.ae. Revving up and running until the final day of Yasalam on November 25 from 4pm-11pm daily, is the Pit Stop at A’l Bahar on the Corniche. Featuring an activation village with local bands and DJs daily, the Pit Stop will be a hive of activity with the finale of the Emerging Talent Competition set to captivate audiences on Thursday when the top four music talents in the GCC take to the stage. Who are those talents? Ghaliaa: a 20-year old Syrian singer and songwriter; 23-year old FAFA, an Emirati and Honduran singer; Jay Abo, an accomplished multi-genre producer and rapper Molham, all the way from Saudi Arabia. Yasalam has teamed up with Careem and du Live to surprise visitors with random luxury pickups. All throughout Race Weekend, Yasalam visitors and concert-goers who book through the Careem app could get more than they bargained for, in the form of a sleek sports car arriving at their location. That means Lamborghinis, Bentleys, Maseratis, Rolls Royces, McLarens and Corvettes. This initiative, called ‘Super Taxis’, is ongoing from November 22-25, from 2pm to 10pm daily. 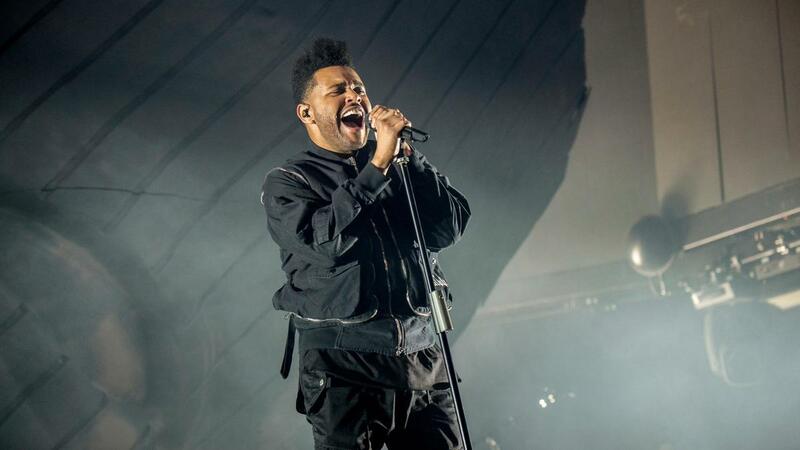 Cipriani Yas Island will fuel the senses of movers and shakers from Thursday. Internationally acclaimed, authentic Italian cuisine, genuine hospitality and live DJs on the decks await, set against the stunning Yas Marina and heart-racing trackside action. 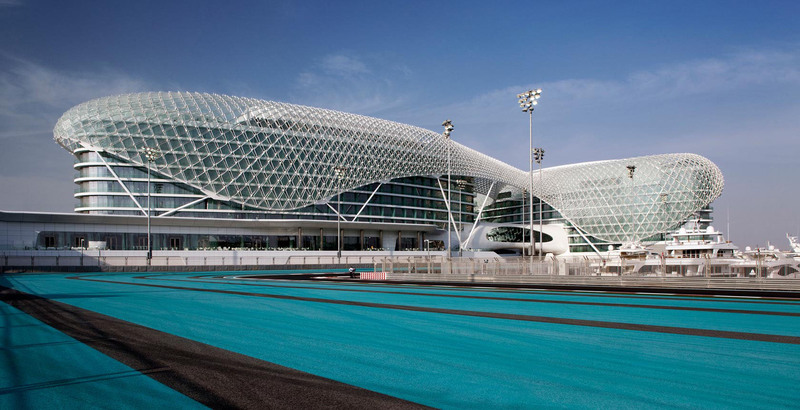 Or head to the always-stunning Yas Hotel for one of the property’s five dining choices, with prices starting from Dhs450 for a brunch experience at Origins, Atayeb and Kazu, all boasting unrivalled trackside positions for front-row racing views. * To make sure the Circuit is at its best, 4,500 litres of ‘Yas blue’ paint, 720 litres of ivory, 1,440 litres of red and 1,440 litres of white paint will be applied to the track by teams of painters. * In the ground of Yas Marina Circuit there are 88.4 acres of landscaped areas, of which there are 2.52 acres of seasonal flowers and petunias planted, they are given some TLC by gardeners who will plant over 1750 different types of foliage along with 886 varieties of Palms and 529 potted plants. * Six special charter flights will land at Abu Dhabi Airport, each loaded with more than 90 tonnes of gear, while Abu Dhabi’s Khalifa Port will handle 140 containers, each carrying the kit needed to make sure the F1, F2 and GP3 teams are able to compete. It will take more than 400 members of staff to offload all the equipment, using 60 forklift trucks once it reaches Yas Marina Circuit.